Another beautiful baby about to join this world. And goodness, will she be loved. The only thing this mom-to-be might love as much is ice cream. Seriously, I've never met someone who loves the stuff so much. She loves it enough to flip the spoon over with every savored bite. So naturally, I needed to prepare an ice cream dessert for her shower. I decided to put together a sundae bar, so that guests could customize their treats. But sprinkles and maraschinos seemed ho-hum. I spiced things up. The guests loved the unexpected toppings. I mean, who doesn't love a sundae? And since this party wasn't at my home, it was great that I could make everything in advance. And each component was surprisingly easy. 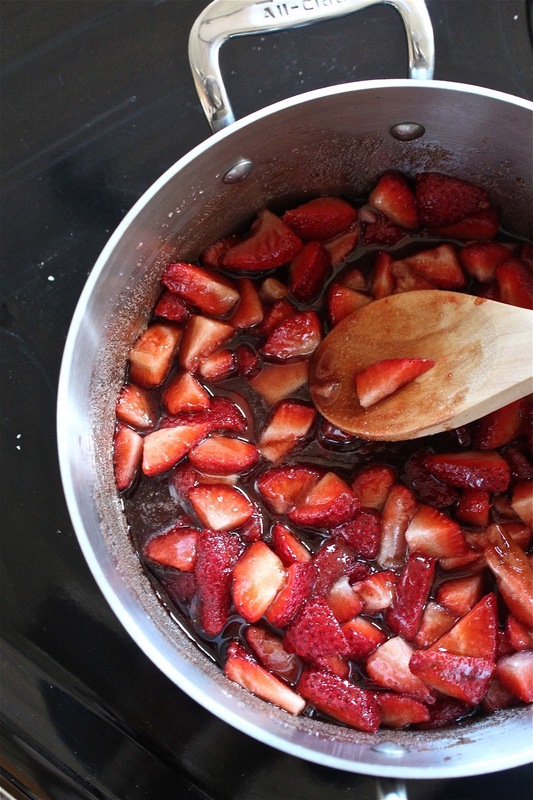 Strawberries were simply sauteed in sugar and good balsamic vinegar. Sugar expertly burnt and salted. 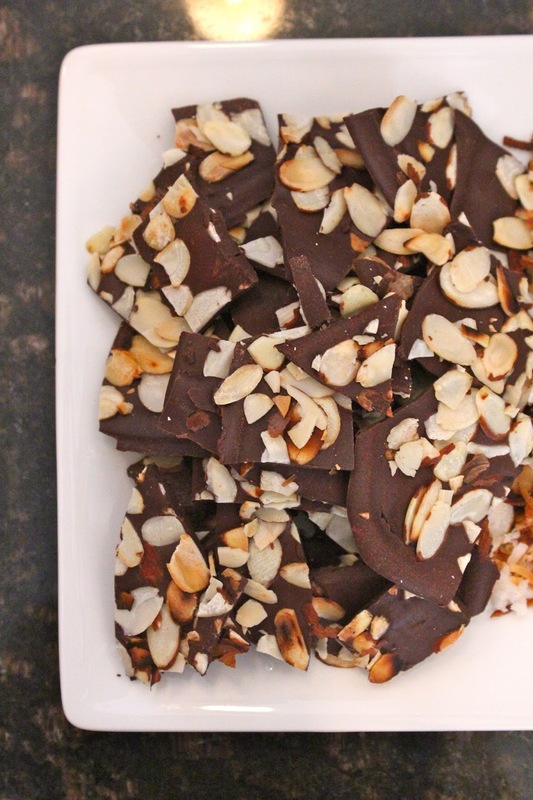 Dark chocolate was melted and topped with sliced almonds. Baby girls and mommas were surrounded by love and good desserts. 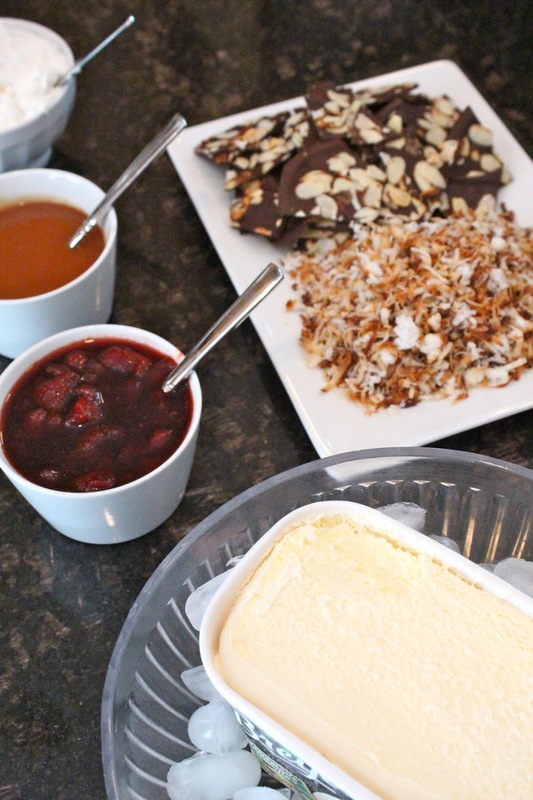 Bloggers enjoyed themselves enough to forget to take pictures of the finished sundaes. All is well. 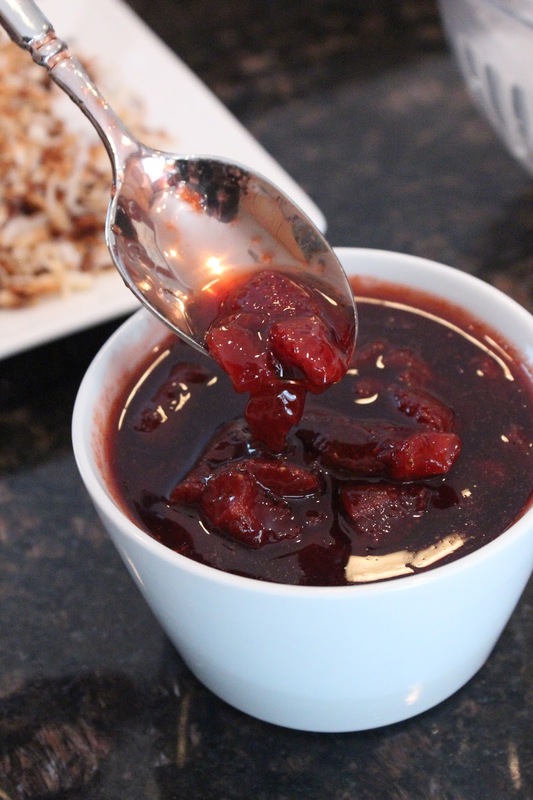 Over medium high heat, melt sugar for caramel sauce; stirring frequently with metal whisk. Cook sugar until it acquires a copper color (about 3-5 minutes; monitoring closely). Off the heat, add butter and salt; stirring until butter is fully incorporated. Add heavy cream and return to heat; stirring vigorously. Cook another 1-2 minutes and handle with care; this is VERY hot. 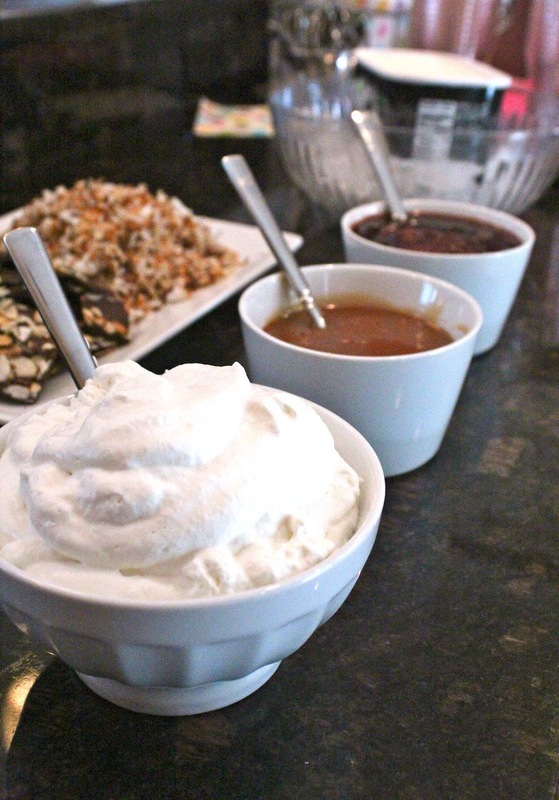 Whip cream with an electric mixer, until stiff peaks form. Add vanilla in last minute of whipping. 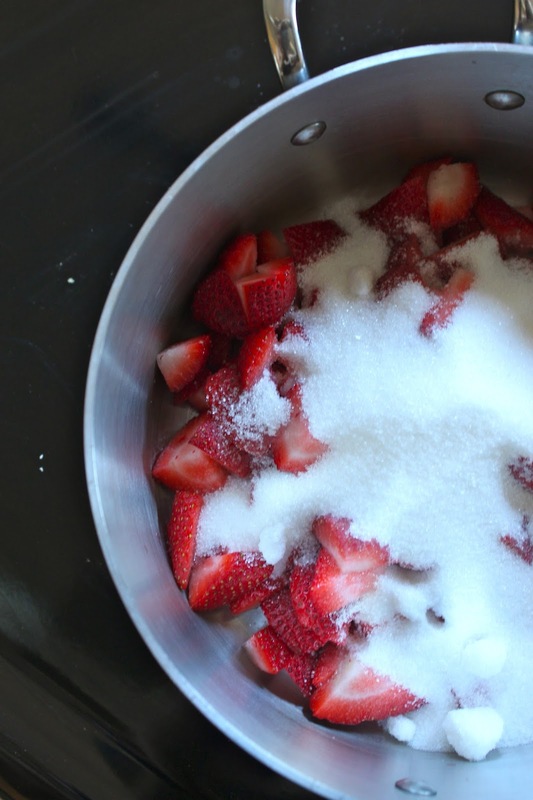 Combine strawberries, sugar and vinegar in saucepan over medium heat. Stir until sugar melts and then reduce heat to low. Simmer for 10 minutes, until sauce thickens. 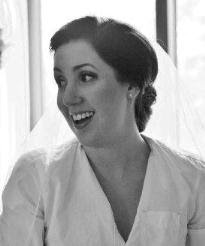 Draw a 9x10 square on a sheet of parchment and reserve on cookie sheet. 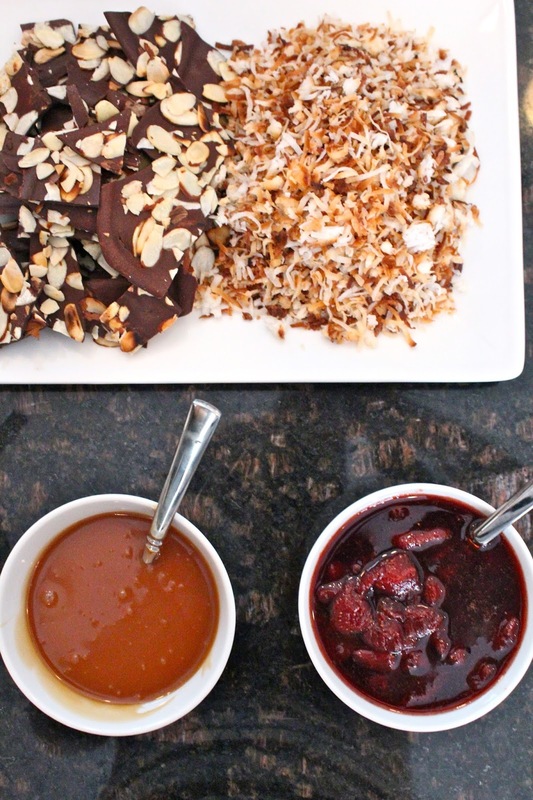 Melt two-thirds of chocolate over a double-boiler with water just simmering (not boiling). Remove from heat and stir in remaining chocolate, stirring quickly and vigorously. Spread chocolate evenly to fill square. Top with almonds and allow chocolate to cool. Break into large chunks for chocolate bar. Preheat oven to 350 degrees. Spread coconut on a cookie sheet and bake for 10 minutes, stirring one or two times. Allow to cool. Mmmm and it was so good! I even had the strawberries and whipped cream on waffles the next morning. Truly delish. Thanks again- I love it all!